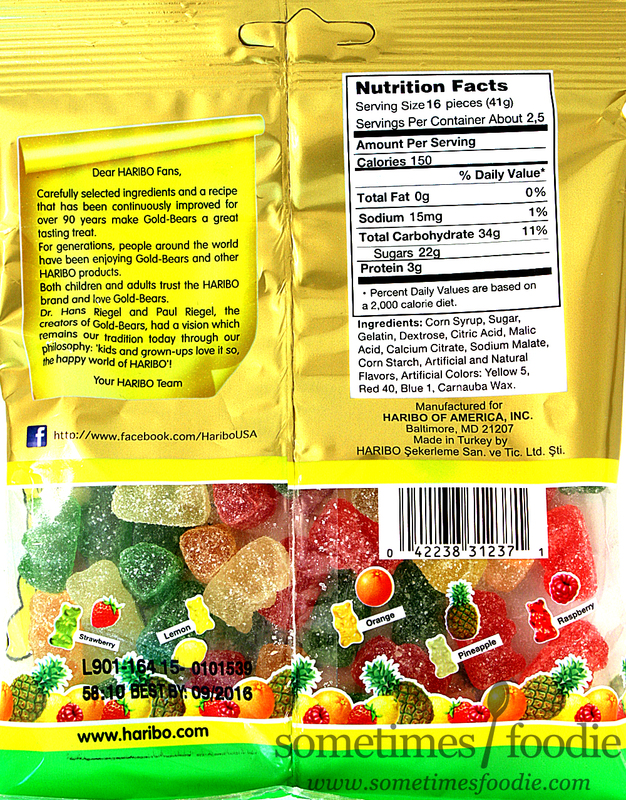 Months ago a reader contacted me and asked me to review Haribo's Sour bears and I'm now I'm finally doing it! Slowly but surely I'm making my way through my massive food horde. 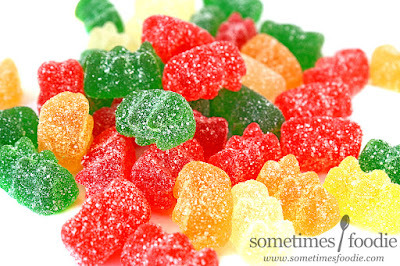 Strawberry (green) - Yup, just in case you didn't already know, the green Haribo gummy bear is strawberry, not lime or apple. The sour sanding sugar on the outside has the same level of sourness as a Sour Patch Kid, but the texturing feels a lot less gritty. 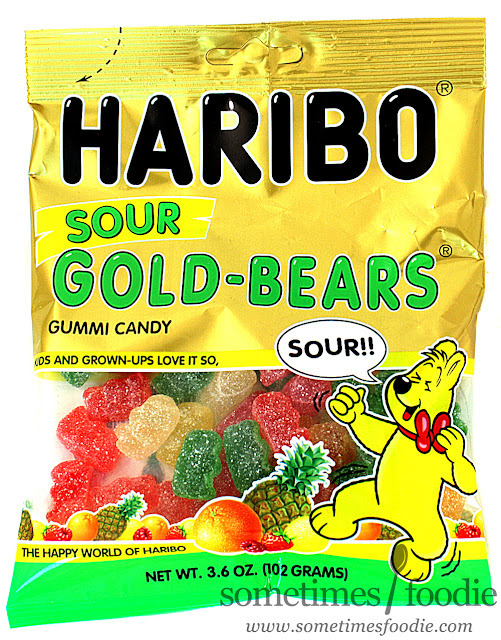 As for the gummy bear underneath, it tastes as delicious as always and it could be me, but these sour bears feel like they have a slightly softer bite than the original Golden Bears. Lemon (yellow) - I only got one of these in my package! 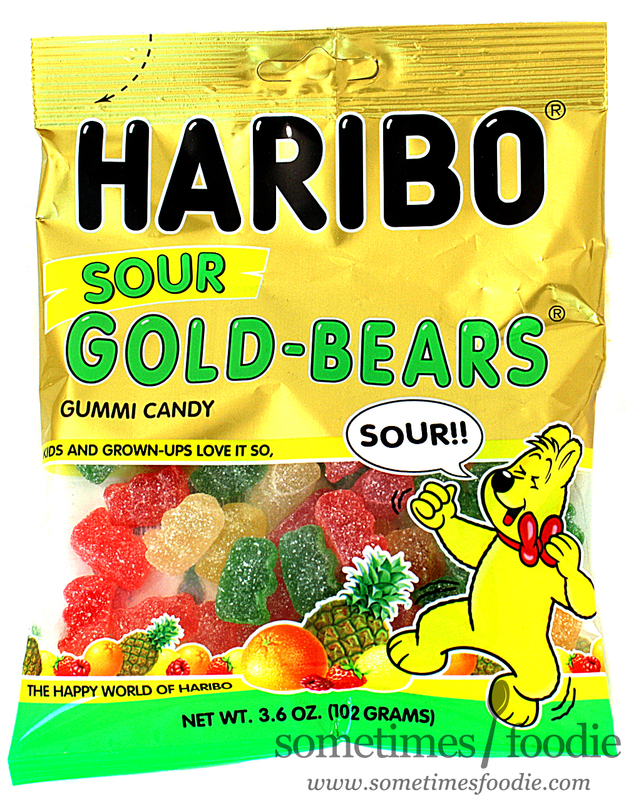 I should have paid more attention to the little clear window on the bag and picked one with a more balanced mix, because this bear was awesome! It's zesty, tangy, and the sour coating makes me feel like it's been dipped in lemonade mix. 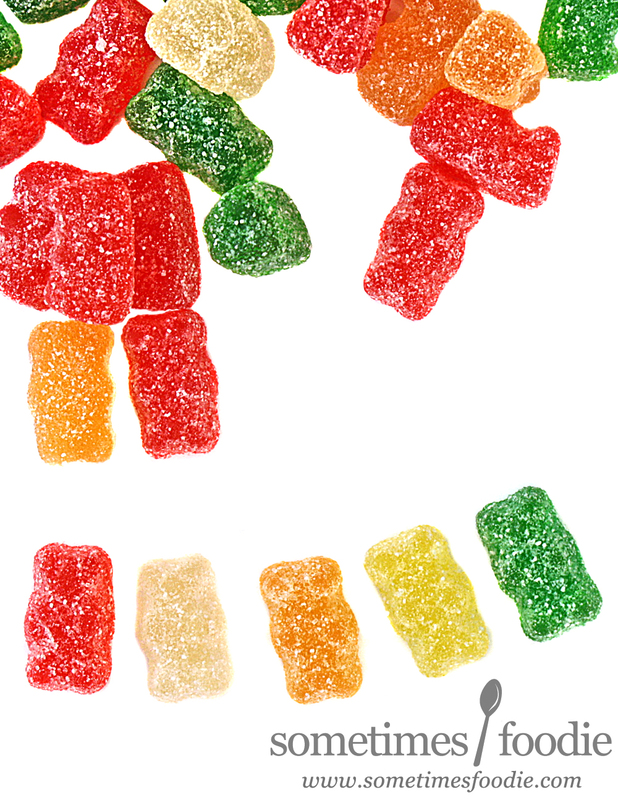 Think Lemonhead meets Lemon Haribo gummy bear, dipped in lemonade powder. It was delicious and it made my mouth water. I really wish I had bought a bag that had more of them. Orange (orange) - Another wonderfully zesty citrus flavor. This one is less try than the lemon version, even though they use the same sour sugary coating, but the coating still gives it a little flavor boost. Kind of like orange juice concentrate. Pineapple (translucent) - This one seems like the least sour of the five. The sour sanding sugar gives the sweet tropical pineapple bear a tiny bit of tang, but the flavoring of the bear itself seems to mellow out the sourness very quickly. It's not bad, and it's a nice flavor to alternate with the more sour flavors to give your tongue a break. Raspberry (red) - We have the same tangy sour coating, but this time I feel like the sourness really enhances the underlying fruity flavor. The raspberry flavoring seems more intense and Swedish Fish-like thanks to this sour coating, and I think I actually like it more than the non-sour red bear. 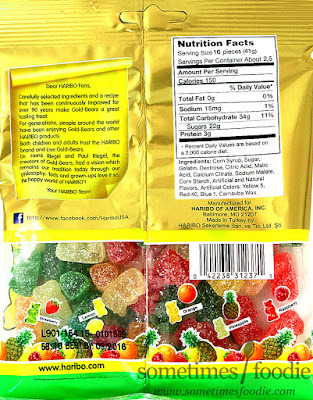 Strawberry (green) - Yup, just in case you didn't already know, the green Haribo gummy bear is strawberry, not lime or apple. As always thanks for your review and especially the photos.